The following is a guest post from community member Jessica Lindsay, owner of Mallow Sustainability. Mallow Sustainability is helping Brisbane businesses reduce their waste to landfill and waste management costs by providing an organic waste collection service. The collected waste is broken down to produce nutrient-rich compost, which is then used to grow organic food on Jessica's family farm. This sustainable process offers many benefits including: diverting organic waste from landfill, regenerating soil, improving food security and combating climate change through carbon sequestration. 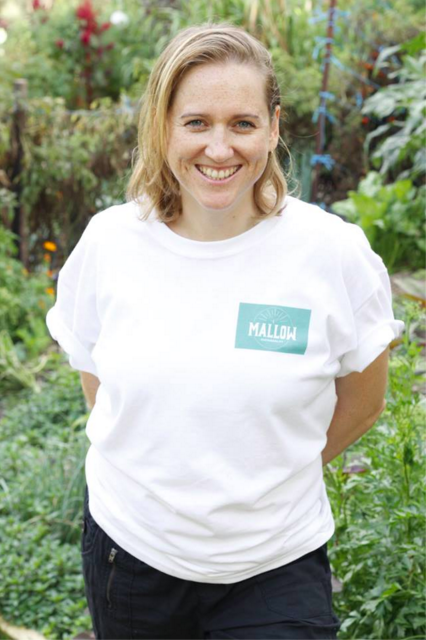 My name is Jessica Lindsay and I created Mallow Sustainability, a business that provides a food waste collection service for other businesses and includes an organic farm, just west of Brisbane. I decided to start my own business in sustainable waste management after working in the waste and environment industry for the last 8 years and realizing there was a range of barriers preventing business from managing their waste sustainably. 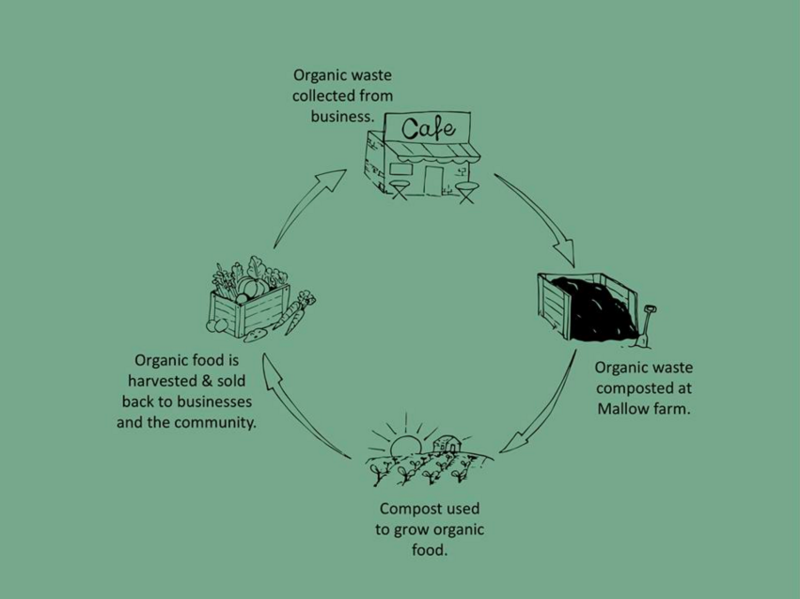 One key issue I noticed was the lack of service providers to manage organic waste in a sustainable way and hence Mallow Sustainability was born. The business brings together my passion for environmental sustainability and waste management. Mallow was launched in June 2015 and immediately I started working with 2 local businesses, Locavore Café and Wray Organic; both leading the way in terms of implementing sustainable business practices in Brisbane. Traditionally their organic waste was going to landfill, where it decomposed in an anaerobic environment, producing methane, a dangerous greenhouse gas. Over the last 7 months I have helped them to substantially reduce their waste to landfill by providing an organic waste collection service, which allows organics to be easily separated, which I then collect and compost. So far, from working with just 2 businesses, around 5 tonnes (8500 litres) of organic waste has been diverted from landfill including coffee grinds, compostable cups, paper towel and fruit and vegetable scraps. This organic material has been composted to produce a value soil amendment and used to grow fruit and vegetables on the farm. Food waste in Australia is an underused resource and is commonly sent to landfill where its value is lost. The function of the business is to capture this resource and regenerate soils and farm sustainably to support the environment. A key component of the service is to firstly undertake an audit of a business's current waste management practices and identify areas that can be improved from an environmental as well as a cost benefit perspective. This helps businesses to see how organic waste collection fits in with their current practices as well as identify other waste management practices they may wish to consider. I have recently been engaged by the Venzin Group to start organics collections at 3 of their businesses, including a restaurant and 2 cafes, in 2016. My goal is to continue expanding my operations and work with more cafes and restaurants interested in using the service. I hope that one day I can encourage larger businesses such as grocery stores to compost their organics, as this would bring about a dramatic change in the way organic waste is managed in Australia. I am planning on growing Mallow Sustainability's farming operations with a focus on sustainable and regenerative farming practices to increase soil health and provide benefits such as carbon sequestration. In the future I would like to develop an educational and community engagement component within the business to help raise awareness and teach people about the importance of environmental sustainability. 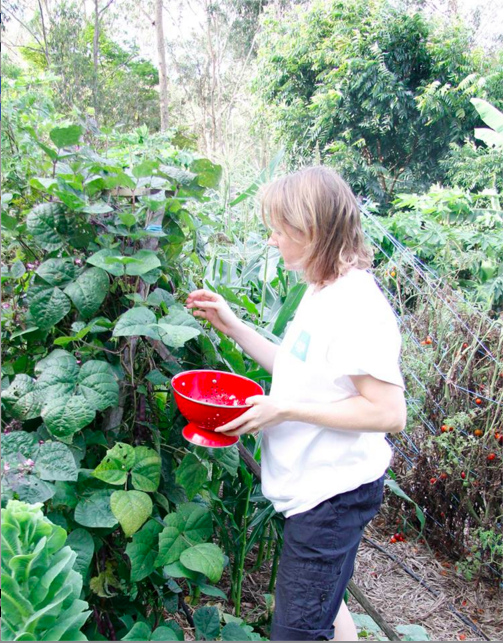 I think it is especially important for young people to learn about the connections between food, physical and mental health and the environment. Read this next: Can you fit all of your rubbish for a year into two plastic bags? This guy can.